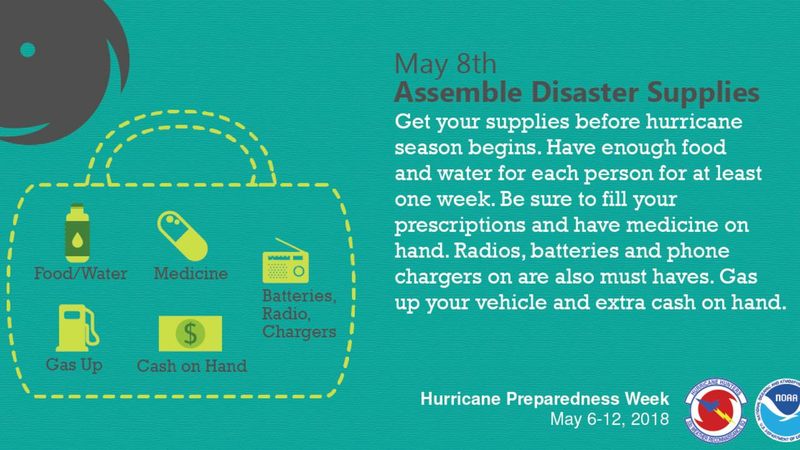 Whether it's a hurricane, other natural disaster or a terrorist attack, people are encouraged to have a basic emergency supply kit on hand. After your kit is assembled, store it in a cool, dry place so it's ready when needed. Make sure all of your family members know where the kit is kept so they can access it in case of an emergency. You'll also need to keep an eye on the expiration dates on the food and batteries in your kit so that you can replace them as needed. It's recommended that you examine the kit every year and update it as your family's needs change. Emergency officials also recommend that you have some emergency supplies in your car and at work.